1. Keep the focus on the students in your pre-conference and documents. What have students learned through activities you completed? What have you learned about your students? Make a quick list of what you can point to that students have learned so far this year. What products do you have that show this? Consider whether they have mastered the material you are referring to or if they are making progress in the journey. Think about what students have learned beyond content knowledge: are they better at discussion? Can they speak to each other rather than looking for you to moderate every comment? Have they grown in how they participate in groups? If you started groups with clearly defined roles, are you slowly moving away from those roles so every student is expected to participate equally? All of this information will be important when you discuss what you are teaching next and why. 2. No, really, keep the focus on the students. Show that you know these students as individuals beyond just being in your period 2 class. Documenting each child (either by initials or without using children’s names--"one child has lost a family member recently" or "two children have IEPs that require the following accommodations," for example) demonstrates that you know your students, and it allows you to show that you are adjusting your instruction to meet those needs. Likewise, when a student doesn't participate the way a reviewer might expect, your previous documentation of issues shows observers that you are already aware of your students’ needs. You can then discuss the issue with the observer in the post-observation conversation without being worried that the observer will consider this background information to be “excuses” about something that happened in class. I once noticed that my students lacked the social skills to work together to solve problems as simple as not having enough scissors for everyone. I devised a lesson around inequality and limited resources to help them learn to negotiate, and during my pre-conference, I made sure I could articulate why I had chosen that lesson and what I wanted students to learn. While it was not reading or writing content, it addressed college and career readiness, listening, and speaking skills, all important for adults to master. 3. Then focus on how you’ve met students needs and what your goals are for this lesson. Have you remediated something an observer saw as a weakness or tackled an area an observer targeted as a possibility for growth? Are you looking to demonstrate your mastery of a specific technique? Are you eager to let your students’ energy and passion for a topic or strategy shine? All of these are great starting points. Take a look at the experiences you’ve designed for students to this point. 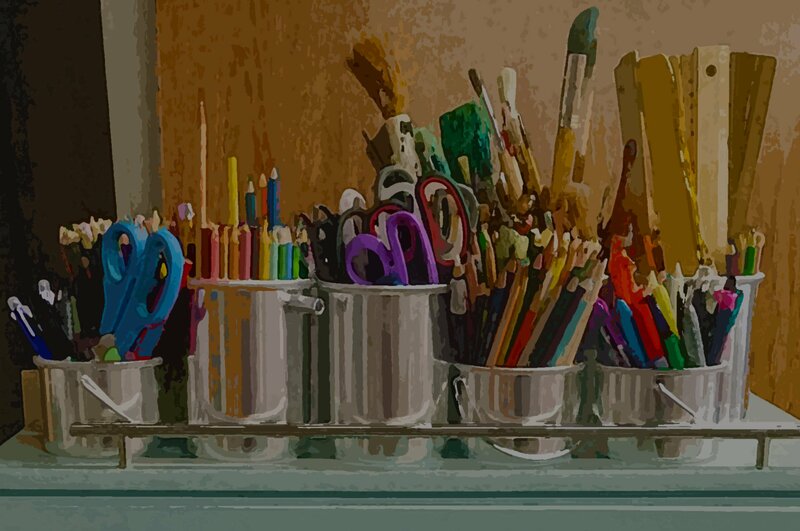 How can you show that you took what you learned from the information you gathered about students, combined it with resources that allow students to connect more deeply with the material, and designed a learning experience that shows you are strong in student engagement and curiosity? Look for places you can show you are using formative assessments to plan further instruction, or that you are collecting evidence through a formative assessment during your observation and can explain how you’ll be using that information in subsequent lessons. All too often, I hear people say that their alarm didn’t go off or the barista got their order wrong or someone took their parking spot and it is a sign. A sign that the day isn’t going to go well. That the observed lesson that day is doomed. Instead, shift your thinking. When something goes wrong (and for me, something always does), think that you got the thing that would go wrong out of the way. Look at it as a place where the energy pivots. Our students reflect the energy we bring to the classroom. On your observed lesson day, bring as much positive energy as you can muster. Keep a stash of chocolate truffles in the desk drawer for a quick pick-me-up. Take 15 seconds before you open the door to the next group of students and envision yourself someplace that makes you feel relaxed and happy. And bring that sense of peacefulness back into your next class with you. Leave a sticky note on your desk to take attendance or to ask for homework to be turned in or to turn the projector on so it warms up. Whatever you forget when you get distracted, set yourself up for success by leaving reminders where you’ll see them and feel like you are on track. Don’t be afraid to leave yourself mood lifters, either. A note that says, “Breathe” or “Believe” or “Smile” can help center you, too (years ago, my husband hung a poster on my wall of a zebra with his lips curled that says, “Laugh” as a reminder to not to take everything too seriously. Of course, a student told me that what we can’t see is the lion biting the zebra’s back legs, which means that every time I look at that poster, I remember not only to laugh but to make sure I take the positive energy from my students as much as I give it). Jennifer Ansbach (@JenAnsbach) was told by nationally prominent educator, Jim Burke, “if you were any more reflective, you’d be a mirror.” A National Board Certified™ English teacher, Jen works in a continuous cycle of professional improvement: identifying students' needs, improving her practice, finding applicable PD, and documenting her work. She also supports other teachers’ professional journeys by serving on her local and district PD committees and as her local union’s PD chair. 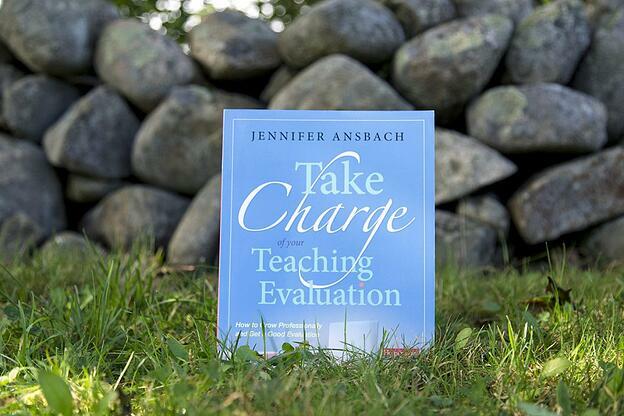 She hopes that Take Charge of Your Teacher Evaluationwill help teachers overcome the feeling of powerlessness that evaluations create and finally be recognized for the effectiveness of their daily practice.